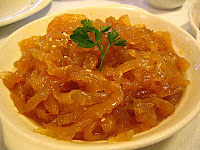 Americans’ aversion to bank nationalization makes me think of my culinary distaste for jellyfish. In fact, it’s worse… I actually have no ideological objections to jellyfish quivering on a plate; it’s just when faced with the choice, I’d rather go for plain old chicken rice! But here is my advice: Get over it! First, because state-owned banks do not have to be as “repulsive” as you think. True, some strands of academic literature (including this one by La Porta & friends) have found that government ownership can negatively affect financial development: Growth in private-sector credit turns out to be lower; access to credit by small or medium enterprises lower; operating efficiency of state-owned banks lower; and overall financial stability also lower. But these results are biased by the fact that state-owned banks tend to be found in countries where the government’s overall intervention in the economy is high, laws are inadequately enforced, institutions are weak and corruption prevalent. Indeed, when one controls for the weakness of the overall institutional environment, the negative impact of state ownership is much lower (per La Porta) or statistically insignificant (per other studies). Similarly, researchers from the Inter-American Development Bank (IADB) found (here) that, while the profitability of state-owned banks tends to be lower than private banks in a global sample, this is not true when one focuses only on state-owned banks in industrialized economies. This suggests that given an appropriate institutional, regulatory and competitive structure, bank ownership per se is less relevant. Finally, another paper by IADB economists finds that state-owned banks can (and do) take advantage of their more stable funding conditions and deposit base during downturns to increase lending to the private sector—that is, they can help reinforce the countercyclical objectives of monetary and fiscal policy (there are caveats with this finding, but I’ll leave those for another wonky blog). Fair point. But, in case you haven’t noticed, our private banks are already in zombie mode, burdened with toxic assets and unwilling to lend despite being flooded with Fed cash. The government’s financial commitments to the sector are already huge and getting bigger. And the government is already interfering with banks’ operations, be it mortgage modifications, commitments to lend or restrictions on executive pay. This is the worst of every world: The equivalent of a nasty chicken & jellyfish mash! Why? First, despite the enormous financial burdens on the taxpayer, the measures taken so far (recapitalization and bank debt guarantees) have not succeeded in restoring confidence in the sector, to bring down liquidity premia and reduce the private sector’s cost of capital. And if you think that Geithner’s “plan” to team up with private investors to buy toxic assets is a better alternative to full government involvement, I’d argue that so long as the private sector’s cost of capital remains high, private investors will not go in, barring a very large participation by the government and/or the purchase of these assets at heavily marked down prices (with the obvious implications for bank recapitalization by, urrr, the government!). But I’ll discuss the (f)utility of Gethner’s plan in another blog. Secondly, among the things that distinguish a “good” public bank from a “bad” one is governance: The public bank should have operational independence. Once the government sets a well-defined set of objectives for the public banks, it should be up to the banks’ management to decide how to achieve those objectives. This is to ensure that public banks are not plagued by the kind of political interference that has been detrimental in some developing economies. Yet, what we are getting today is a government intervention that is the opposite of transparent, predictable and arms-length! The mandate of intervened banks remains undefined, the rules of the game have been changing half-way through and the government is increasingly interfering with banks’ operations. And if Geithner’s stress tests were purported to be the uniform test for government intervention, for the moment they lack the transparency to be that—it’s even unclear what criteria will be used to assess bank solvency. Finally, critical for a successful government intervention are measures to ensure a level-playing field for those banks that are NOT intervened. In Norway for example, nationalized banks were given restrictions on the expansion of their assets to ensure that they would not use their competitive advantage (cheaper funding costs) to displace private banks. But here, discussions in this area do not seem to have even begun. So we have a playing field full of potholes and with the players running blindfolded. To tell you the truth, my own chicken-rice scenario would be to have the toxic assets removed from banks’ balance sheets by means of a government-owned (but independently managed) TALF-like vehicle; the assets purchased at heavily marked down prices (i.e. any upside goes to the taxpayers); and the resulting capital holes in the banks refilled (by the government and, ideally, some private sector participation), after wiping out existing shareholders and replacing their managements. The cleaned-up banks could then continue to operate as private concerns. The problem with this, however, is that the resulting recapitalization costs may turn out to be prohibitive, if we are to use current “market” prices for the write-downs. In that case, nationalization would make more sense, since the government’s cost of capital is much lower (i.e. the present value of these assets higher) and since it can afford to hold the assets to maturity without the fear of a run. As I mentioned, there are still many issues to address in a sequel to this post, e.g. which banks should be nationalized, how to do this without undermining the others, to how to go on about removing the toxic assets from the banks that are not intervened, etc. But for now, I’ll just close with a confession: I have yet to try jellyfish myself, but it may well happen the day Citi becomes public. I hear it stings!